Adepoju believes that the result would still be useful to Super Eagles’ coach Gernot Rohr as he continues to build a formidable team for the World Cup . A former Super Eagles midfielder, Mutiu Adepoju, has declared that there are positives from Tuesday’s 0-2 loss to Serbia that Nigeria can build on ahead of the 2018 World Cup in Russia. 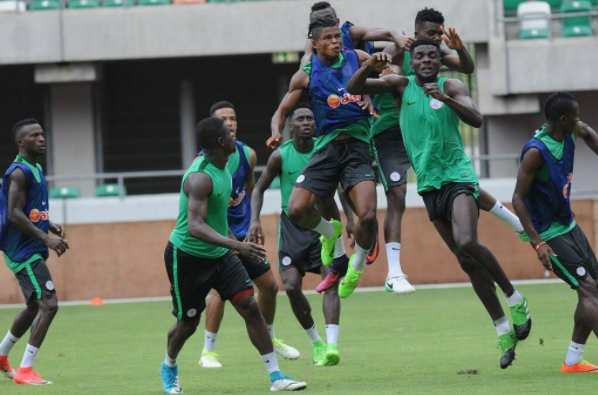 Adepoju believes that the result would still be useful to Super Eagles’ coach Gernot Rohr, as he continues to build a formidable team for the World Cup. "He will make good use of the outcome. It was a good game on both sides, and I am sure the Eagles’ handlers will be satisfied that the match opened their eyes to so many things,’’ he said. "Rohr must have seen the strengths and weaknesses of his players, which will determine their involvement during the World Cup. "It was a friendly match though, but it is still a better means of testing players to assess players and brush them up ahead of the Mundial,” he added. Despite the Serbia defeat, Adepoju expressed optimism that the Super Eagles would still make an impressive appearance at the 2018 World Cup in Russia. The Nigeria national team will play three more friendly matches —- against Congo, England and the Czech Republic —- before the World Cup finals slated to hold from June 14 to July 15.